We were delighted to be supporting the NSPCC by taking part in their latest fundraising event ‘Buddy’s Big Workout’. On Friday 5th February we had a series of aerobic workouts led by our very own ‘Miss Motivator’ - Miss Kania! To help raise money for the NSPCC, we asked pupils to collect sponsorship using the ‘Big Workout’ sponsor form. At Mapplewells we have always had a close relationship with the NSPCC, by raising money we can help fund vital services like ChildLine – the helpline that’s always there for children and young people whatever their problem or concern. All the money we raise at school will make an enormous difference to children today and help change the lives of children tomorrow. A huge thank you to everyone involved. 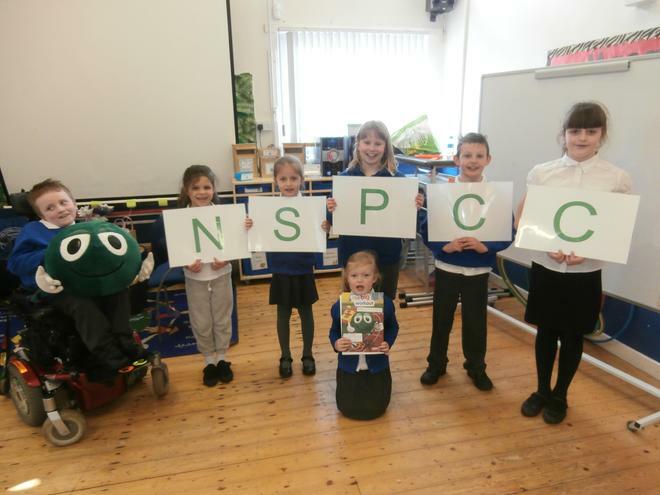 The generous support makes it possible for the NSPCC to continue their amazing work, so a massive thank you to all of you for your tremendous generosity and a HUGE well done to all the children who took part in the workout. Finally a special mention must go to Miss Kania who worked extremely hard all day and was exhausted by 3:15pm! Thank you again to you all for your continuing generosity.